Asian stock markets are higher today as Chinese and Hong Kong shares show gains. The Shanghai Composite is up 0.4% while the Hang Seng is up 0.3%. The Nikkei 225 is trading up by 1.8%. While, the indices in the US moved between negative and positive territory throughout the session, with investors keeping their eyes on the US Treasury market. Back home, India share markets opened on a flat note. The BSE Sensex is trading up by 49 points while the NSE Nifty is trading up by 22 points. Both, the BSE Mid Cap index and BSE Small Cap index opened up by 0.3%. Barring IT stocks and telecom stocks, all the sectoral indices have opened the day in green with realty stocks and energy stocks leading the gainers. The rupee is currently trading at 68.91 against the US$. The rupee ended almost flat at 68.96 per US dollar Monday as participants preferred to wait on the sidelines to see the outcome of RBI's first-ever rupee-dollar swap auction. The forex market sentiment revived towards the fag-end, offsetting early losses amid increased selling of the greenback by exporters, the reports noted. The rupee-dollar swap auction announced by the RBI earlier in March will infuse Rs 350 billion into the system. The auction of US$ 5 billion for a tenure of three years will be conducted today. Additionally, foreign portfolio investors (FPIs) bought equities worth a net Rs 1.5 billion on Monday. Ongoing flood of liquidity into both debt and equity coinciding with the stable dollar index has led to recent strength of rupee. The recent surge in the Indian stock markets can be also attributed to the strong foreign investor inflows into Indian equities. Moving on to other news. As per an article in a leading financial daily, food inflation in the country is likely to go up to 2% in FY20 from the 0.7% estimated for FY19. As per the report, low food prices in the last few months can be attributed to the prices of cereals and vegetables which have been low for some time. Deregulation of markets, which saw delisting of vegetables from the Agriculture Produce and Marketing Committee Act (APMC) in 14 states, has helped the vegetable prices. In the case of cereals, "active food management" policies have helped, and the government released buffer stocks in large quantities and went in for higher imports on this front. Going forward, the food inflation is unlikely to shoot up sharply unless there is some shock related to weather events, the reports noted. Now how this pans out going forward remains to be seen. Meanwhile, we will keep you updated of the developments from this space. Equitymaster requests your view! 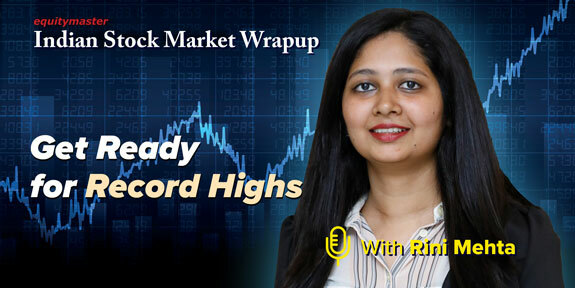 Post a comment on "Sensex Opens Flat; Realty and Energy Stocks Gain". Click here!